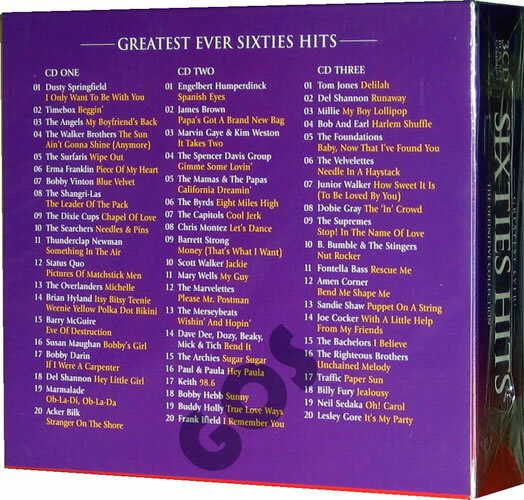 The Greatest Ever Sixties 3 CD Collection 60 Original Tracks ! Another fabulous collection of original artist AND original recordings from the 1960s. Ideal for that sixties party. In total 3 CDs of glorious 60s music and a 60 track listing. All tracks on this collection are top quality original artists and original recordings. Take a look at the track listing below where I'm sure you'll find plenty of old favourites!